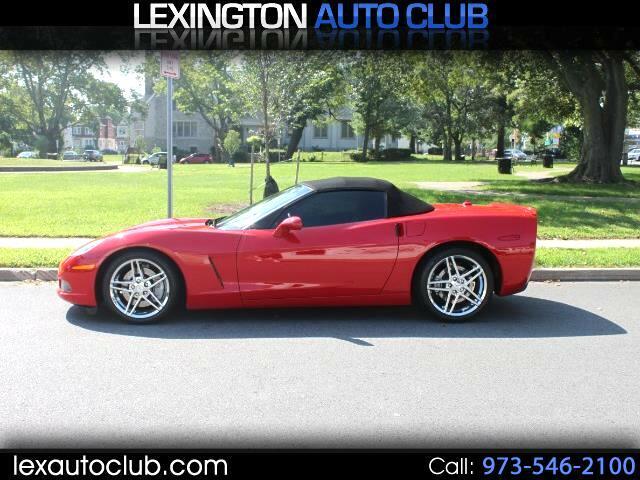 THE PERFECT CORVETTE CONVERTIBLE! NOT A SCRATCH ON HER! NO ACCIDENTS! THIS CAR IS KEPT IN MY PERSONAL CLIMATE CONTROLLED GARAGE. (TO SEE PLEASE CALL AHEAD OF TIME) THIS CAR CAR HAS BEEN BABIED SINCE DAY 1! ADULT OWNED AND DRIVEN! BORLA EXHAUST! SOUNDS AMAZING! PUSH START IGNITION! HEATED LEATHER SEATS! CONVERTIBLE BLACK TOP IS LIKE NEW! NO RIPS! BOSE RADIO SYSTEM WITH TOUCH SCREEN DISPLAY WITH BLUE TOOTH AND MICROPHONE WORKS EXCELLENT! ALSO COMES WITH A BAZOOKA SUB WOOFER IN THE TRUNK. 2 SETS OF KEYS! THIS CAR IS PROTECTED WITH A CERAMIC COATING! NO NEED FOR RAGS TO DRY OFF THE CAR THE WATER FALLS RIGHT OFF OF IT. I ONLY USE A BLOWER TO DRY IT. OIL CHANGE DONE 7/28/18 AT 30,326 MILES FULL SYNTHETIC DONE EVERY 3K MILES! ONLY PREMIUM GAS USED! 6 SPEED MANUAL TRANSMISSION! HEADS UP DISPLAY! THIS CAR HAS NEVER SEEN SNOW OR RAIN! ONLY DRIVEN ON SUNDAYS! BRAND NEW CORVETTE FLOOR MATS PURCHASED 7/28/18. COMES WITH ORIGINAL OWNERS MANUALS! TIRES ONLY HAVE 2K MILES ON THEM! DRILLED AND SLOTTED ROTORS! UNMOLESTED CAR ! NEVER TRACKED! YOU WONT FIND ONE CLEANER THAN THIS! THIS IS THE ONE!